Crawling into a sleeping bag that you know is going to be warm and comfortable is one of the singular pleasures of any camping adventure. Just as a good sleeping bag can make for a good night's sleep, an ill-suited one can spell discomfort or worse. If you're looking for a small lightweight and affordable sleeping bag, it presumably won't be suitable for colder nights. 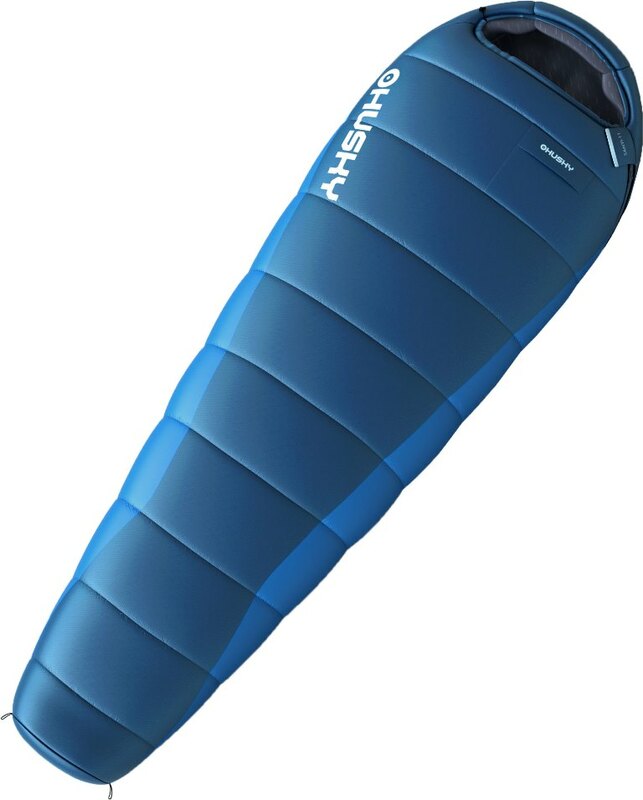 If you plan to sleep outside in temperatures around zero, the sleeping bag will grow both on its size and price. Sleeping inside? - If you will sleep inside a building, you can use a simple rectangular sleeping bag made of absorbing materials such as cotton or flannel. Sleeping outside? - Suitable mummy type sleeping bag made of water resistant materials. Make sure to choose according to the temperatures in your destination. Transported in a car? - Weight is not so important, so you can choose a more comfortable and spacious model. Transported in a bagpack? - Lower weight and dimensions are essential. Sleeping back should be packable into small dimensions, mummy type is recommended. Travelling on a bike? - Weight should be as low as possible - under 1,2 kg. Who will use it? - Sleeping backs for women and children should have suitable thermal comfort, men can choose according to the temperature limit. maximum temperature - indicates at what temperature we start to feel uncomfortably warm. This problem can be often easily solved by unzipping the sleeping bag. 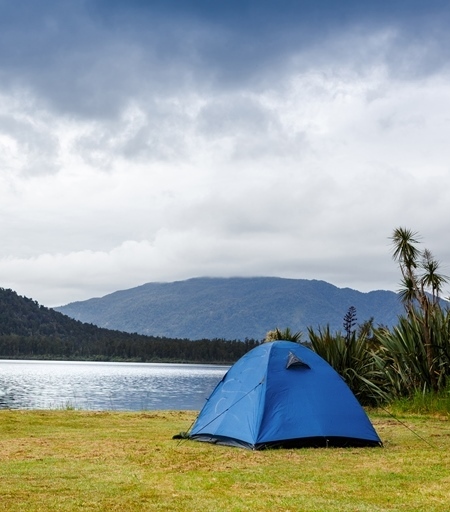 Choosing the right size of a sleeping bag is more important than you might think. If the sleeping bag is too big, the body won't produce enough heat to warm the air within the sleeping bag, which is needlesly heavier than needed. Smaller model, on the other hand, may be too tight and very uncomfortable. Outer fabrics are a compromise betweed firmness, weight, water resistance and breathability. Polyamide with various water repellent treatments is the most common fabric. Inner fabrics should be not only breathable, but nice to touch. Cheeper models can contain cotton inner layer, which is comfortable, but unfortunately also quite heavy and voluminous. It also absorbs humidity and dries a long time. 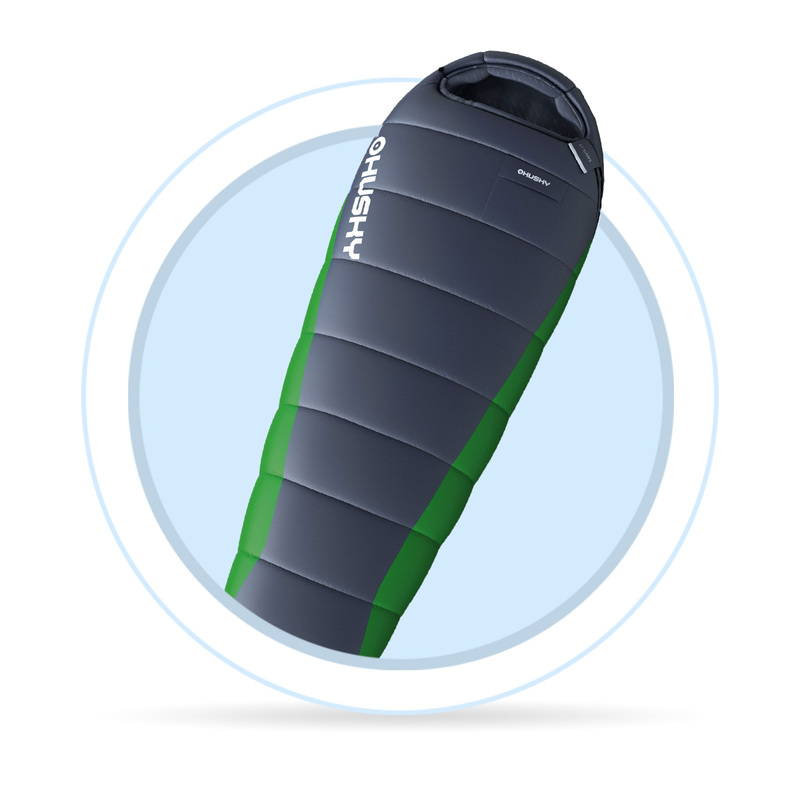 Polyester is the most used material in sleeping bags with similar properties like functional clothing. Construction mainly means the amount of insulation filling. Synthetic insulations (like Primaloft, Climashield, and the plethora of proprietary insulations) are a safer choice if you often find yourself in wet conditions. Many people prefer down sleeping bags. And it’s not just the weight, a high quality down bag can be over a pound lighter than a synthetic with the same temperature rating–it’s the cosy factor. Sleeping bags are usually machine-washable and should be washed according to the manufacturer's instructions on the label. after washing, let the water drain and let it dry. Down fill sleeping bags should be shaken with from time to time.